A short video interview with Different Voices author Benjamin Dwyer, recorded on the day of the book launch by CMC, on the background and reasons for writing the book. Only days following the launch of Different Voices, which highlights as a central theme the bias against art music among cultural commentators and curators, The Irish Times announced Modern Ireland in 100 Artworks – a major cultural curation covering the last 100 years (http://www.irishtimes.com/culture/modern-ireland-in-100-artworks-excavates-the-best-of-our-art-1.1992124). The absence of art music in this project provides further evidence of an ongoing exclusionary policy (conscious or unconscious) among prominent cultural curators in Ireland. The project relegates ‘music and song’, whatever that might be, to a ‘separate’ strand to be addressed ‘periodically’. Along with other signatories, I have written a letter to The Irish Times (see below) highlighting that this is not an isolated occurrence but an ongoing practice of cultural partitionism, which continues to negatively affect the reception, promotion and understanding of Irish classical/art/contemporary music both here and internationally. The following is a letter sent to the Irish Times in protest to the exclusion of music from Modern Ireland in 100 Artworks. The letter was not published and so appears here for the record. Sir, – We note that The Irish Times in collaboration with the Royal Irish Academy has embarked upon a project entitled Modern Ireland in 100 Artworks – (‘Modern Ireland in 100 Artworks excavates the best of our art’, November 8). This endeavour is to be welcomed, especially at a period when the entire nation will be reflecting upon its history. However, we also note, this time with astonishment, that classical/art/contemporary music has not been included within this pantheon of Irish cultural expression. If such exclusion were a one-off oversight, perhaps our concern would be minimal. However, this is part of a consistent pattern in relation to contemporary composition, which has consistently been debarred from internationally renowned events celebrating Irish culture, including From the Heart (the 1999 ‘expo’ of Irish musical culture at the Barbican Centre in London), the Re-imagining Ireland conference in Virginia (2003) and the recent Ceiliúradh (Celebration) at the Royal Albert Hall in 2014 for the historic occasion of the first state visit to the United Kingdom by the President of Ireland, to mention just three. We would like to enquire as to why art music in Ireland is not deemed sufficiently important to be included by the ‘panel of experts’. Such automatic omission of music would not only be unthinkable in the United States or in any other European context, it simply would not occur. The curators themselves describe Modern Ireland in 100 Artworks as an ‘historical project’. Are we to assume that Irish art music is to be airbrushed from this cultural history? Relegating ‘music and song’ (does this actually include art music?) to a ‘separate’ strand to be addressed ‘periodically’ speaks volumes about the hierarchical bias and curatorial myopia at the core of this project. One is further bound to ask why the number of ‘core genres’ was ‘kept deliberately small’, when the panel of experts admits that ‘some years were creative deserts.’ If major arts institutions such as Aosdána and the Arts Council recognise contemporary music as equal to other art forms, why does The Irish Times and the Royal Irish Academy differ in this respect? From Mozart’s operas to Benjamin Britten’s War Requiem to Henryk Górecki’s Symphony of Sorrowful Songs, art music has always played an extraordinary role in the cultural, political and social fabric of societies. Irish composers have engaged with their socio-cultural and political environments just as much as writers and visual artists. The exclusion of music from this ‘historic project’ will result in a seriously deficient perspective. We strongly urge that Modern Ireland in 100 Artworks be immediately restructured to include classical/art/contemporary music. We are poised to submit to The Irish Times and the Royal Irish Academy a list of 100 significant compositions – one for every year of the project – which will give all concerned every opportunity to be culturally inclusive. 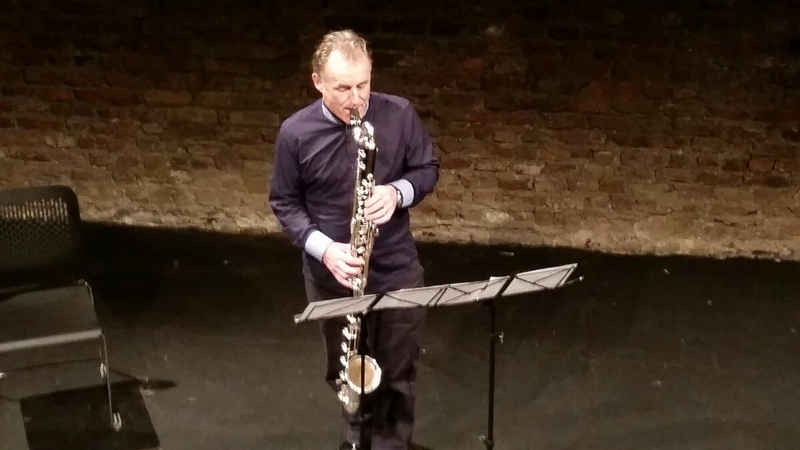 Nick Roth (soprano saxophone) and Benjamin Dwyer (guitar) perform an improvisation for Barry Guy at the Different Voices Launch concert at Smock Alley Theatre on 6 November 2014. It is a great pleasure for me to launch Different Voices: Irish Music and Music in Ireland by Benjamin Dwyer this evening, a book which is a conflation of two separate yet interlinked sections. The idea of publishing a range of composer interviews (in the second part of the book) to give a snapshot of a time and place is one which will be familiar to many from such volumes as Walter Zimmermann’s 1976 Desert Plants concentrating on American experimental composers or Kevin Volans’s 1985 Summer Gardeners. However, in both these cases there was in a general sense a shared aesthetic among the composers chosen for interview whereas in Different Voices Dwyer has deliberately avoided narrowing the selection to one group or type of composer. The one thing these composers have in common is Ireland and yet even this is a loose connection, as its nature varies from composer to composer: in some cases it is the place they were born, in others it is an adopted home where they found their musical voice. In terms of timeline, the book covers composers active from the late 1950s onwards and whose aesthetic approaches cover everything from highly predetermined to improvised music. In short, the list of names indicates the hugely diverse range covered. All of this is prefaced in the first section of the book by a short but dense exploration of the trajectory of classical or art music from the eighteenth century to the present. This section provides a contextual background to the interviews that follow, in particular offering an important insight into political and social issues that reverberate throughout the second part of the book. Indeed, this brief history is more important than its compact nature might at first suggest. In general cultural discourse in Ireland, music (except in its most commercial forms) tends to receive scant attention. It is a fragmentary and frayed history and, as Dwyer outlines, the reasons for this are complex. When the study of Irish music finally began to establish itself in recent years, a number of dominant narratives took hold because writers tended to accept unquestioningly each previously existing narrative without rigorous weighing of the evidence. In many ways the lack of debate was due to a sense of insecurity among a community focused on a cultural strand far removed from the centre of public discourse in Ireland. Additionally, one can argue that much musicological writing in Ireland has had a severe postcolonial chip on its shoulder. Of course, direct comparison between the relative poverty of pre-twentieth-century Irish repertoire and the Austro-German output from the same period can encourage a certain musicological despondency. However, there has been a tendency in some writing to ignore the social and political reality which created the situation in which Ireland could become the land with even less music than its neighbour. Dwyer’s writing tackles these issues head on, beginning by interrogating the rather rose-tinted version of ascendancy eighteenth-century Dublin that has dominated musicological writing to date. For example, having noted Brian and Barra Boydell’s extensive writing depicting the eighteenth century as a golden period of music and inclusivity he pauses to ask the awkward questions – how many people was this a golden period for? Who was the music for? And how good or at how professional a standard was it? Dwyer also questions whether nationalism can really be the scapegoat for all that has been wrong with the production and reception of music in Ireland as much of the literature suggests. Indeed, with the idea that the arrival of nationalism was a disaster that resulted in the destruction of the tattered musical fabric of the country, musicology was for once ahead of (rather than behind) its time, being more in tune with current government pronouncements, which seem to regard 1916 as a mistake and independence as an embarrassment. Of course, this is not to in any way deny the ways in which the independent Irish state failed to address basic infrastructural issues – to this day the condition of music education nationally seems to be predicated on the notion that music is a hobby for those affluent enough to afford it. Indeed, Dwyer highlights the way in which Ireland, having emerged from colonisation by Britain, quickly betrayed the socialist ideals that drove the move towards independence one hundred years ago and submitted to new masters – first a quasi-theocratic one and more recently the religion of late-capitalist business. Turning in more detail to the twentieth century, while much has been made of the disparity of coverage between literature and music, Dwyer makes the telling point that wheareas literature has, post Joyce and Beckett, for the most part left behind the experimental tradition in favour of a more commercial realism (or what he terms a post-colonial nostalgia), the period of this retreat in literature is the very moment when experimentalism takes hold in music – a factor which, along with the poor levels of music literacy in Ireland, has helped contribute to the paucity of coverage. The survey also takes an important swipe at the inflated position of O’Riada in the current literature – a figure who has a role to play in histories of the traditional music revival and a position in cultural histories due to his film scores but whose contribution to Irish art music is negligible. The title of the book is apt as Dwyer’s voice is a different one to the majority of published trajectories of Irish music while in the second part of the book we are confronted with a range of different voices jostling against each other, sometimes converging on an idea but frequently providing the reader with a series of contrasting views in quick succession. Composers are asked questions which push them towards clear illumination of how they have reached their current aesthetic positions and they are given the space to develop their ideas. Key works are discussed by each composer to illustrate their approach and many of the composers discuss at length what makes up their signature in sound. Unsurprisingly with Dwyer as author and editor, the volume does not shy away from more controversial issues. We hear from composers who have felt marginalised by changes in fashion for programmers in Ireland in the last few decades. Several interviewees comment on the tendency in recent years towards uncritical group embracing of particular trends – a generation who rushed to bang on an Irish can, a younger generation who have discovered the joy of spectralism. We are asked if composers are now merely aping the not-so-latest import, as one commentator puts it, arriving at the party fifteen years too late. Different Voices: Irish Music and Music in Ireland is an outstanding book and plays an important role in promoting new music in Ireland. And so I smash the metaphorical bottle of champagne against its bow and declare Different Voices launched. Different Voices was launched in a capacity-filled CMC on 6 November. Here are some photos, taken by Michael Dwyer of the event. 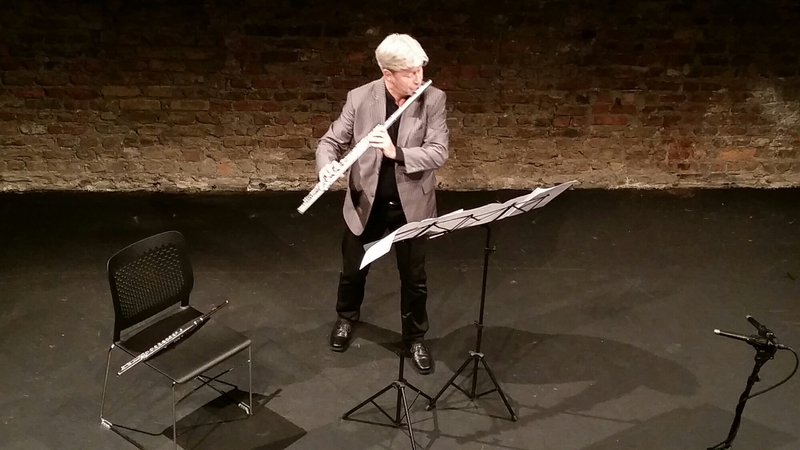 Music from the composers featured in book will feature in a concert presented by the Royal Irish Academy of Music on 6 November at the Boys’ School, Smock Alley Theatre. 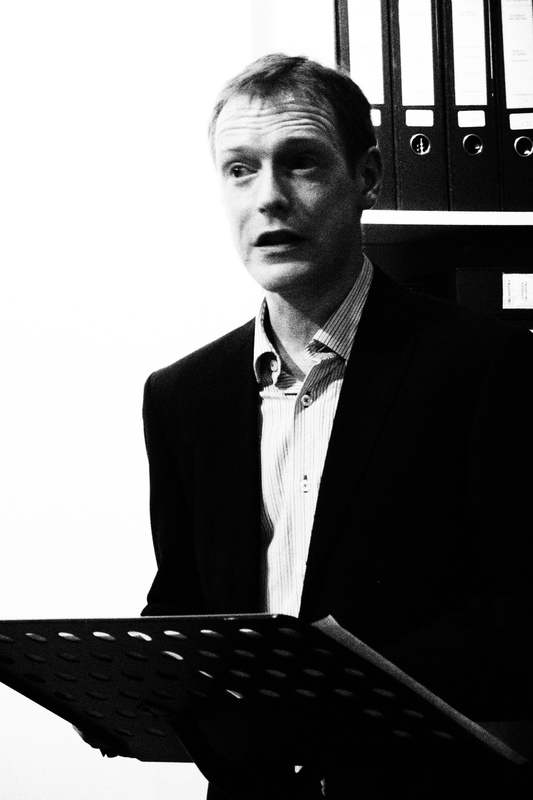 The concert, which follows the launch of the book in the Contemporary Music Centre, begins at 8pm and includes performances from William Dowdall, Paul Roe, Nick Roth, Dorone Paris Group, and RIAM Vocals. Tickets cost €10. 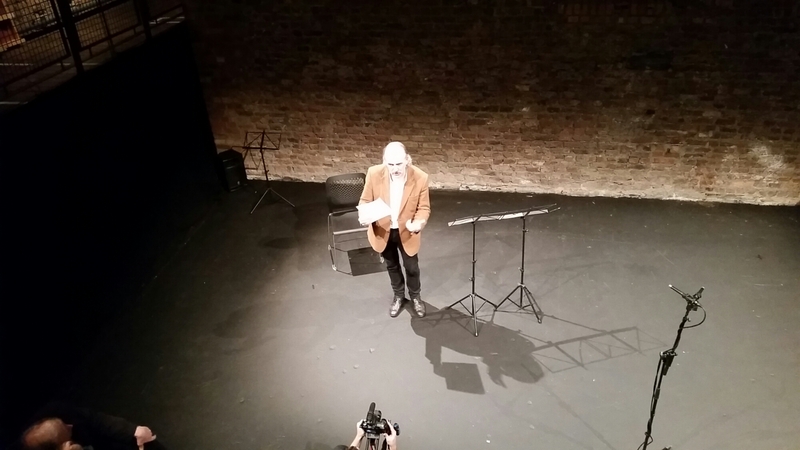 To book, please visit Smock Alley Theatre.